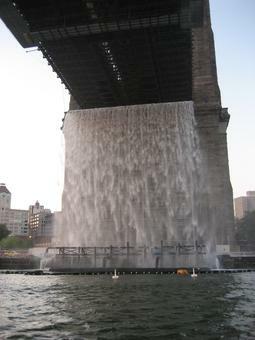 Commissioned by Public Art Fund, The New York City Waterfalls was a temporary installation, running from mid-July to mid-October 2008. 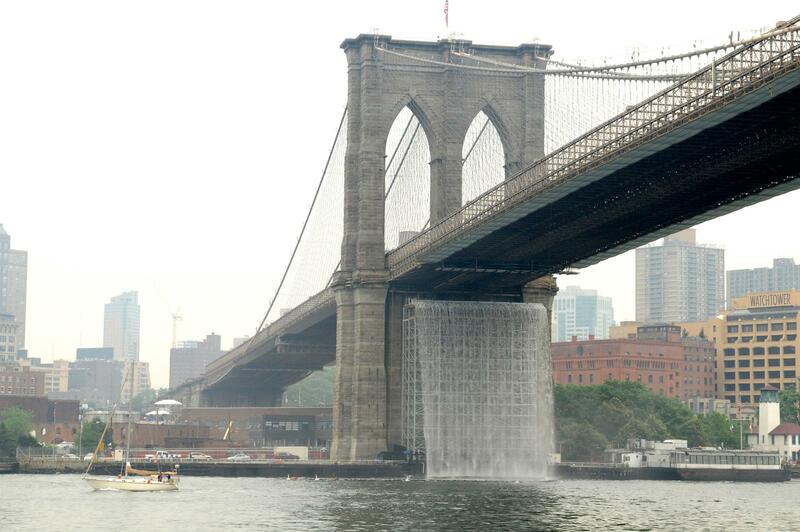 The four Waterfalls were located in the East River, New York, USA: one on the Brooklyn anchorage under Brooklyn Bridge; one between Piers 4 and 5 in Brooklyn; one in Lower Manhattan at Pier 35; and one on Governors Island. 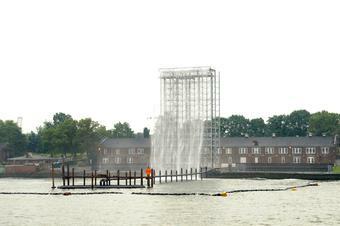 The 30-40 m high structures, consisting of scaffolding, pumps, and hoses, were a continuation of Eliasson's previous waterfall works. 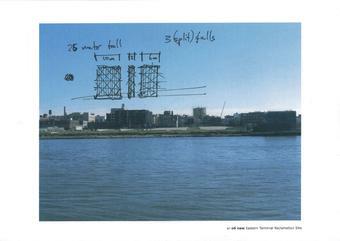 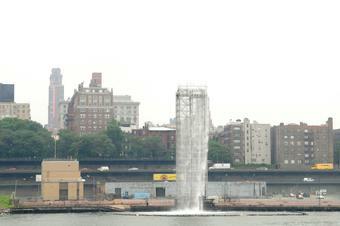 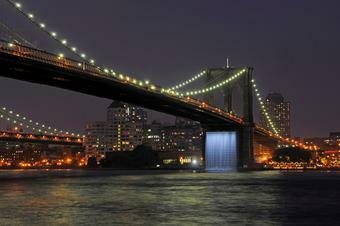 The New York City Waterfalls were presented by Public Art Fund, in collaboration with the City of New York.